If you find yourself in need of a little holiday spirit, we’ve got just the prescription. Hop aboard the Polar Express! This iconic event in the Blackstone Valley celebrates the famed book written by Rhode Island author Chris Van Allsburg. The event is put on by the team at the Blackstone Valley Tourism Council as a fundraiser for their environmental educational programs. 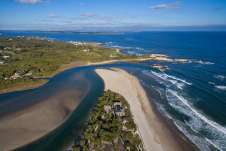 Now in its 19th year, the event, which began simply as reading of the holiday classic, has grown into the hottest ticket in town for anyone with young children– or for those of us who just love the holidays. 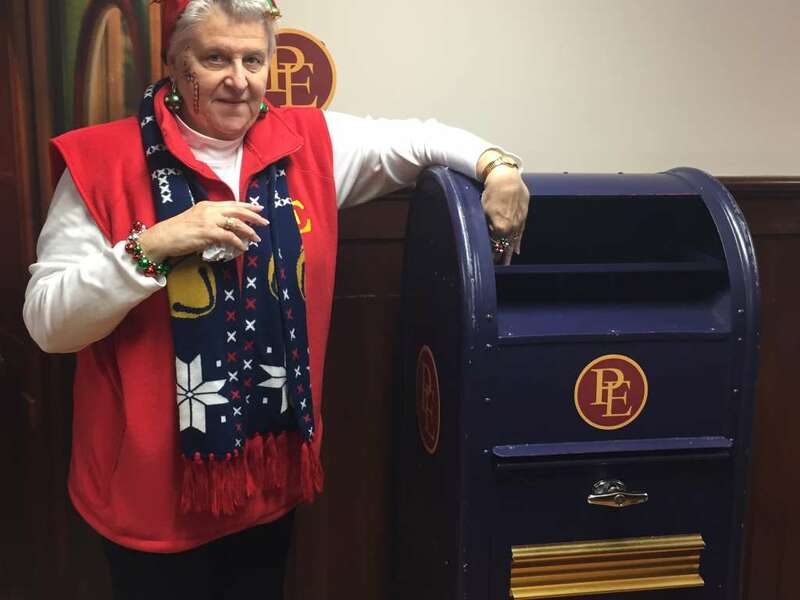 More than 22,000 guests will board the train with the more than 50 trips it will make through December 23, Visitors come from far and wide to experience the Polar Express, with guests traveling from 35 of the 50 states to be part of this event. The train runs Friday through Sunday with up to four showings on Saturdays and Sundays to accommodate all ages. Book early as they sell out quickly, especially the closer we get to Christmas. So what’s it all about? We’re breaking it down so you know just what to expect. The Polar Express operates out of the train depot in the city of Woonsocket, located in the northern part of the state. It runs on the train tracks of the Providence Worcester Railroad. 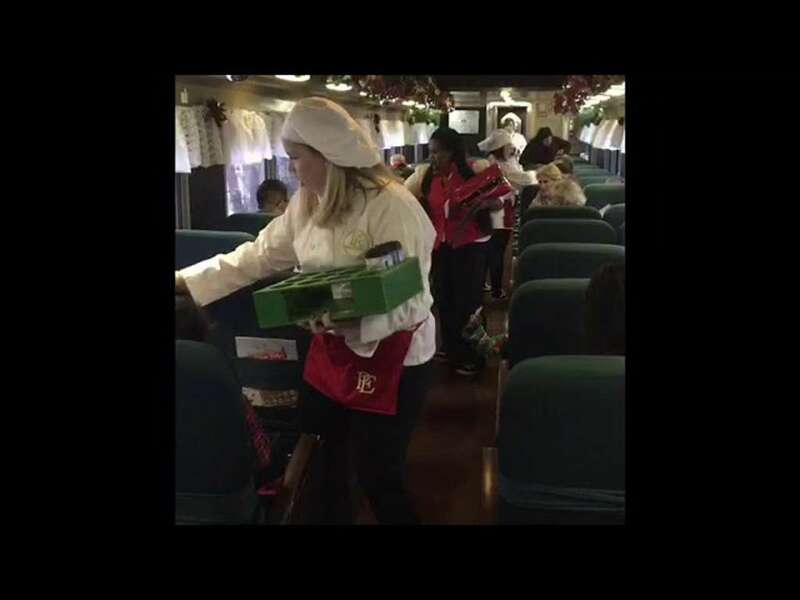 There are six cars on the train, each with its own set of elves and chefs. 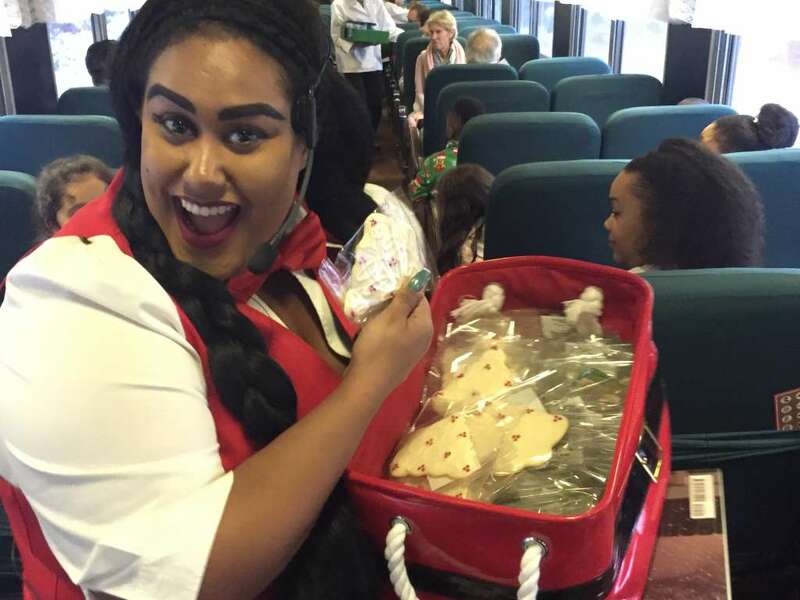 The team brings all the fun and excitement you could imagine and truly brings the story to life, acting out every part of it from the train ride through the woods to the cookies and hot cocoa - all en route to the North Pole. Our biggest piece of advice? Get there early. Plan to arrive at least 45 minutes in advance to allow yourself time to participate in all the activities in the depot. Even waiting in line is fun! Christmas carols are playing and musicians are on stage keeping even the smallest ones engaged. There are even heaters to keep you toasty on those frosty evenings. One of the first special moments is the doorman who greets each family one at a time, opening the heavy doors to the station with a flourish, announcing each arrival in grand fashion. Once inside, there are activity corners for the kids to color, face paint and mail their letters to Santa. 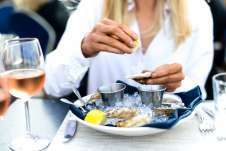 The activities are all part of the ticket price so give yourself time to enjoy them. Photo opps abound and one of the most fun is with the Conductor, who will even let the little ones hold the lantern, making for a spectacular photo. 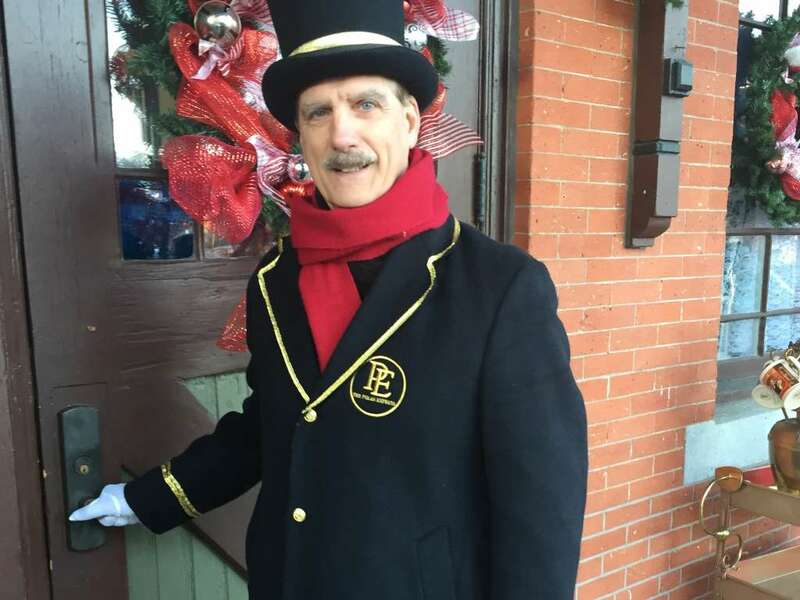 Conductor Bob Billington has been the Conductor for 17 years and loves seeing repeat visitors recognize him and bring their own children or family members years later for the same photo opp. “I can look in their eyes and know if they have had a good time," he said. "We work hard to deliver that level of excitement." The merchandise area is a spectacle in and of itself. It’s hard to miss since it takes up an entire wall with colorful items twinkling and beckoning guests over for a closer look. The best-selling item, as you might have guessed, is the iconic conductor’s hat. You will see many children wearing them. Ornaments and pajamas are a close second. This licensed merchandise for the Polar Express is available online as well for the family who wants to plan ahead or for someone who is unable to make the trip. And just try to resist the popcorn at the concession stand, where you will find other goodies if you’re in need of a yummy snack. 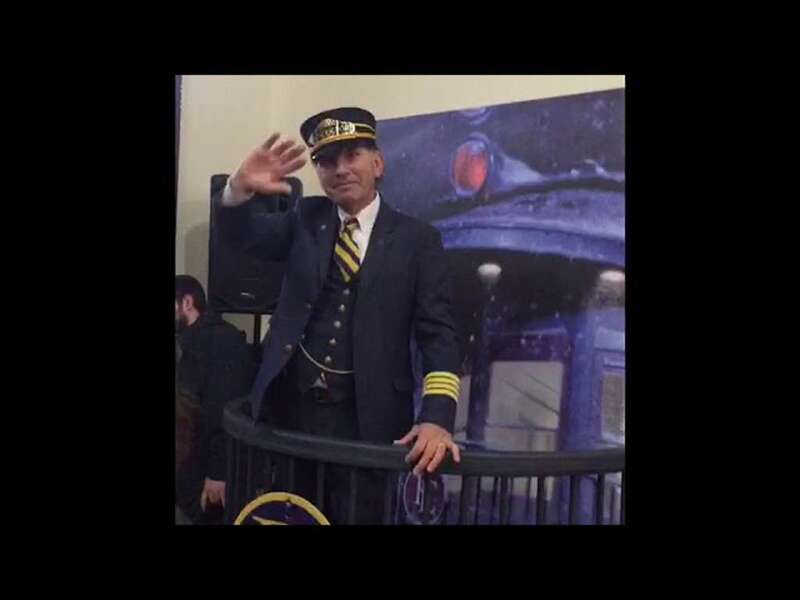 Twenty minutes prior to departure, the Conductor will greet the guests and invite everyone to help him yell All Aboard. It’s a moment you don’t want to miss and (spoiler alert!) it is met with quite a celebration. From there, believe it or not, as the Conductor will tell you, all guests will be on board the train in less than 20 minutes to depart exactly on time. And did we mention the snow? Right on cue, as guests leave the station to find their seat, it begins to snow, making everyone squeal with delight as they walk through the snow flurries to their waiting train car. The team has it down to a science and, as promised, all guests were in their seats within minutes and the train departed the station ever so slowly. Destination: The North Pole. The conductor will come by to visit each guest to punch the ticket handed to them upon entry. Each seat has a coloring book and box of crayons waiting for each child, along with a bingo card. More on that later. Right now, it’s story time. 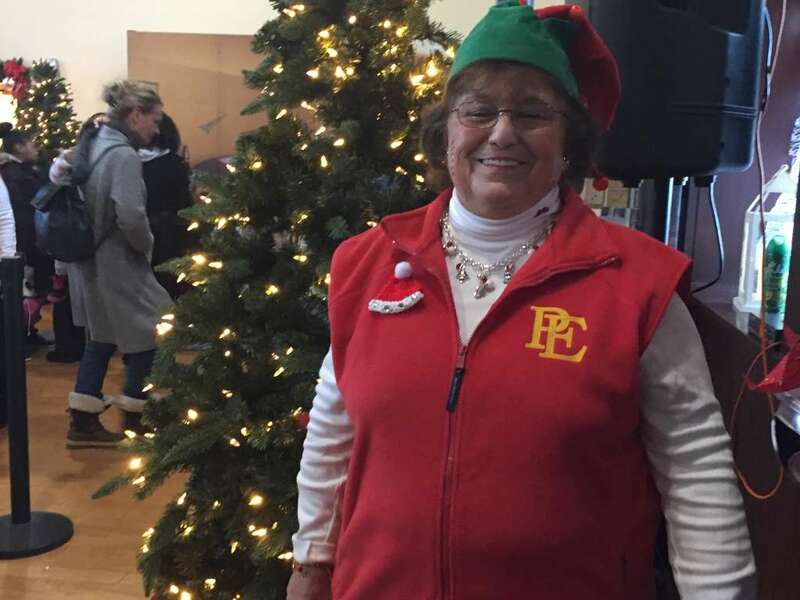 It takes 45 minutes to get to the North Pole and, along the way, the elves bring the story of The Polar Express to life with a giant book that is never more than a few feet away, thanks to the team of elves who work to give each child an up-close view of the illustrations on each page. The elves deliver a festive tree shaped cookie to each guest, followed shortly thereafter by hot cocoa for everyone. Perfectly drinkable hot cocoa, too. It’s warm and rich but not too hot for those eager to take a sip. Best of all, it arrives in a branded souvenir travel mug that you can keep. Before you know it, 45 minutes has flown by and just as the story ends, the train begins to slow down and the elves instruct everyone to look out the window to see….the North Pole! A new 35-foot tree glows in the distance as the elves dance around and wave to the train passengers. 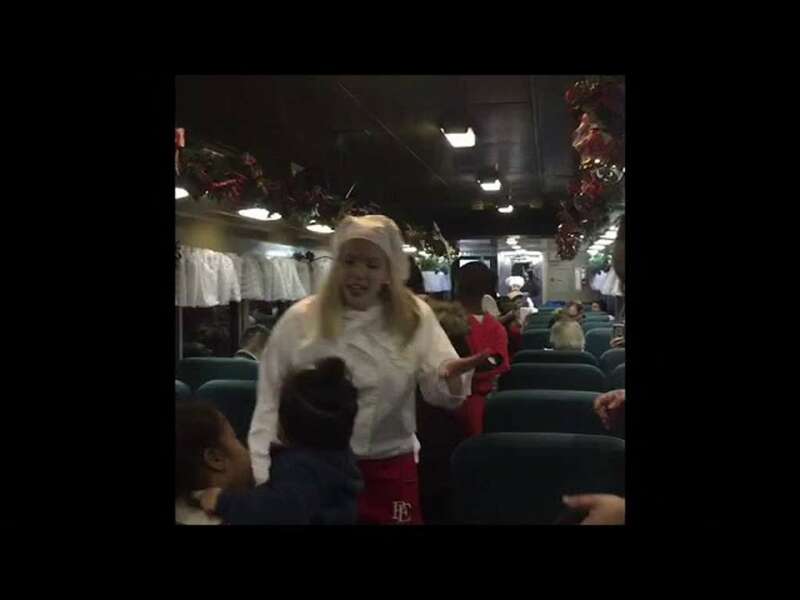 As the train prepares to head back to the station, the elves begin a fun game of Christmas Bingo, keeping the kiddos occupied every step of the way. It turns out a special guest hopped on board at the North Pole. As the train gets underway again, the door to the train car opens and Santa Claus suddenly appears. Santa visits with each child and presents them with their first gift of the season – a bell. That jingle bell is put to good use on the return trip as a singalong begins, with Jingle Bells being the first selection, of course! Children are encouraged to get up and dance in the aisles and sing and dance all the way back home. As the train nears the station, souvenir gift bags are handed out for the children to take back their souvenir mug and the coloring book and crayons. No detail is missed in this experience. Ninety minutes later, the train pulls back into the station and it&apos;s time to wave goodbye to the elves. But there is one more stop to make before heading home. Be sure to get in line for a photo with Santa. Children are even encouraged to sit in the sleigh next to Santa, making for a really epic family photo. Not only is the photo free but the elves will use your camera to snap the photo for you so it couldn’t be easier. Wear your pajamas. And yes we mean everyone. Entire families from grandma on down to the youngest will be there in their favorite sleepwear ready to board the train. It makes for the most fun photos on the train and with Santa at the end. Book your tickets in advance. The afternoon trains are most popular but the 11 am and 7 pm will sell out too as we get closer to Christmas. There are several free parking lots close by or, for a $5 fee, you can park in the lot adjacent to the station (another reason to arrive early). 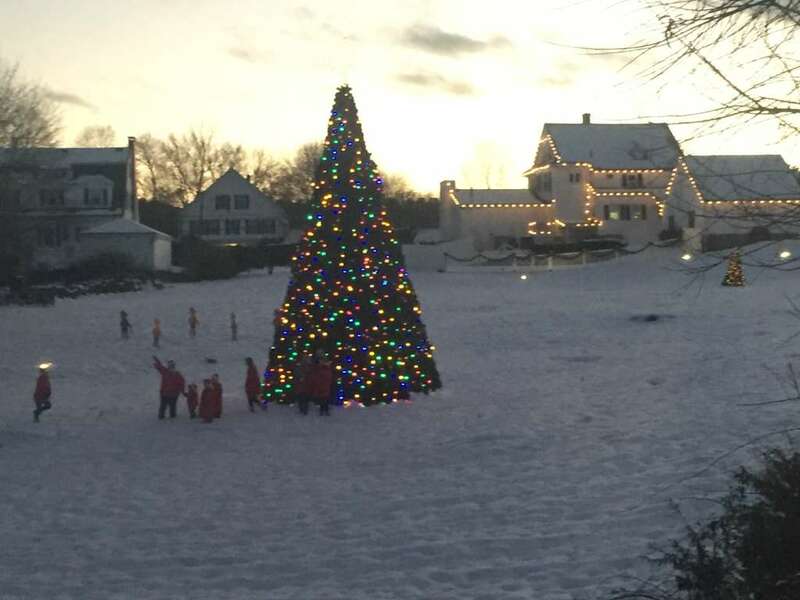 Hopping aboard the Polar Express is a unique Rhode Island experience that is fun for the whole family and absolutely guaranteed to get you in the holiday spirit. After all, as the book reminds us, the magic of Christmas lives in your heart….if you just believe.